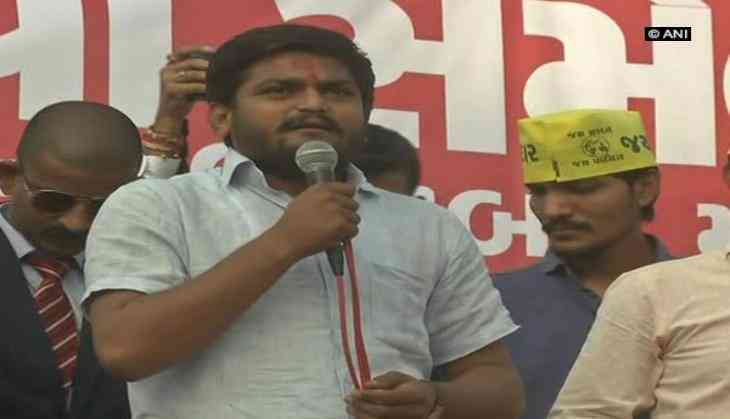 Patidar Anamat Andolan Samiti (PAAS) convener Hardik Patel on Wednesday rejected the reports of his meeting with businessman and Congress president-elect Rahul Gandhi's brother-in-law Robert Vadra. Speaking to ANI, Hardik said that the reports of his meeting with Vadra were false. "Now they are alleging I met Robert Vadra">Robert Vadra. This is false. After ten days they can even claim I met Nawaz Sharif, then they will say I met Dawood Ibrahim," he said. Hardik's former aide Dinesh Bambhania yesterday claimed that the Patidar leader had met Vadra at a five-star hotel in October. Speaking abouth the Gujarat polls, Hardik said that he always pitched for people's right and never tried to put anyone down. "The people of Gujarat need a strong voice to support them. I have always raised my voice for people's right and asked everyone to fight for their right," he added. Hardik has joined hands with the Congress party for the upcoming Gujarat assembly elections. Last month, Hardik made headlines after he claimed that the Congress has agreed to give reservation to the Patidar community, if the party comes to power in Gujarat. Patidars or Patels are an important group in Gujarat, who enjoy great political dominance in the state.